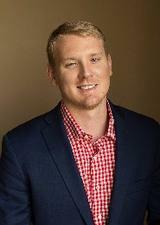 About Chris Kew with Southwestern Real Estate, Inc. I confirm that I worked with Chris Kew in the buying or selling of this property. - I worked with Chris for listing of my rental property and was very impressed with his work. He was very professional and prompt on getting back to me with all my questions and requests. The preparation prior to listing, during contract process and after walk-thru inspection cares- whole process was very smooth and well explained to me. I recommend Chris for anyone who needs a realtor. - Would recommend working with Chris to anyone! As first time home buyers, Chris made the process both easy and enjoyable. From showing us homes (even working with our weird work schedules) to answering what felt like a million of our questions, Chris was on our side the whole way. The negotiation process and offer paperwork went very smoothly and we are so happy to be in our first home! - I had always had one realtor that I used for purchasing multiple houses dating back to 2013. I moved from Cedar Falls, IA to Omaha, NE and needed to sell my house. We listed it in January or February and by the time November rolled around I still hadn't gotten a single offer. After two listing agreement contracts had expired, I knew we needed to try something different so I turned to Chris to see how he could help even though he was in Chicago. He used his connections to find someone in Cedar Falls who could help me out. They literally got the thing sold in one day. Thanks Chris!